Now, while this is still a work in progress, that's because the planned part list is large. Apart from some tidy up on IVAs, and some frustrating issues with a few things like antenna, these parts are done and ready for release. As a release version, I will also endeavour to not change any existing part in such a way as to break anyone's game or block loading craft that use the parts. Other than that, there's still a heap of work to do. So, what is it? It's basically a way of making larger pods. 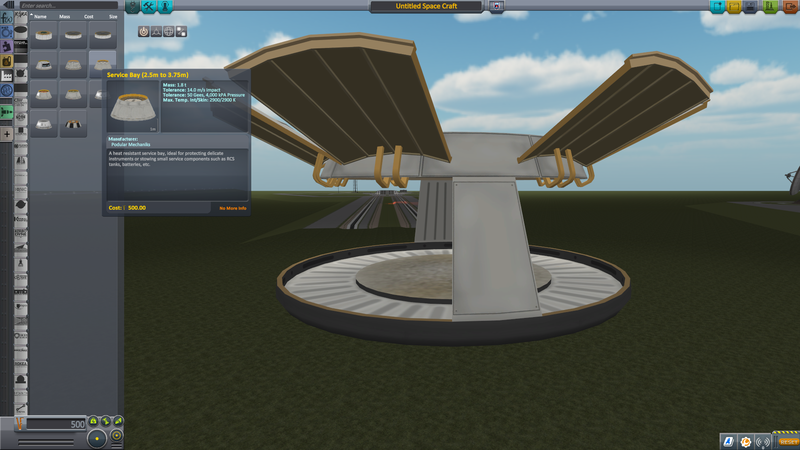 Not by providing any giant pods, but by providing a set of floors/stories to pods to add onto the existing pods. Mainly the Mk1-2pod (the same idea has already been embarked on in the M.O.L.E. 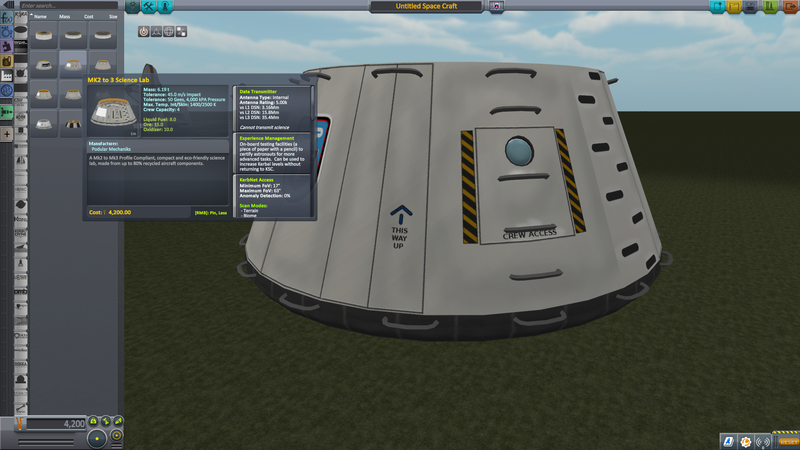 mod for the Mk1 pod, to a large degree, and I don't intend to duplicate someone else's work). 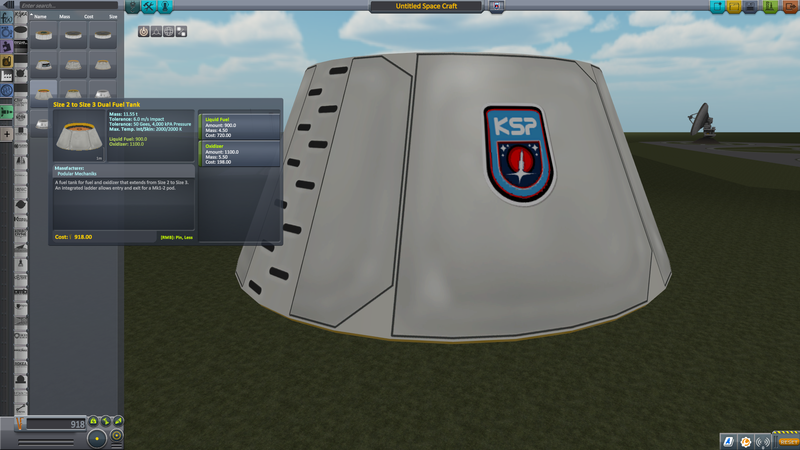 So, each module will be roughly as tall as the Mk1-2Pod, and go from a size N to Size N+1. So far, I've mostly just done size 2 to size 3. 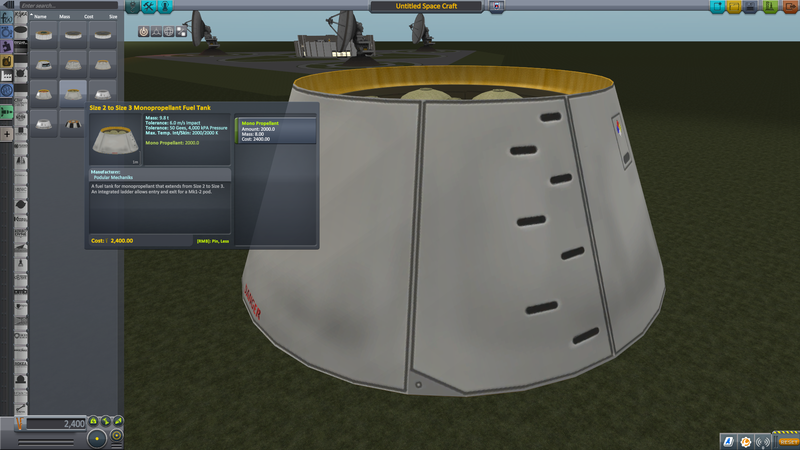 So there's now a use for that 3.75m heatshield.The only part that isn't like that so far isn't very usable, as I haven't added 5m heat shields. 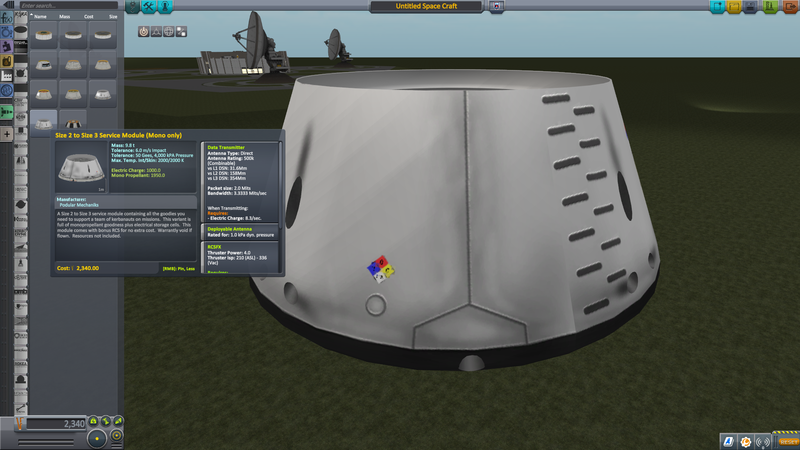 Somehow during dev, integrated heatshields and aeroplug engines snuck into the mix. 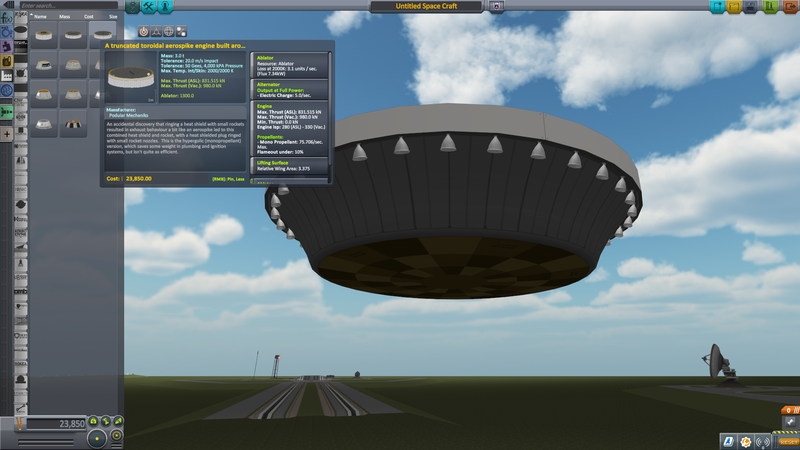 These are inspired by the ROMBUS/PEGASUS/etc plans of Doulgas Aerospace. So far, there's three flavours. 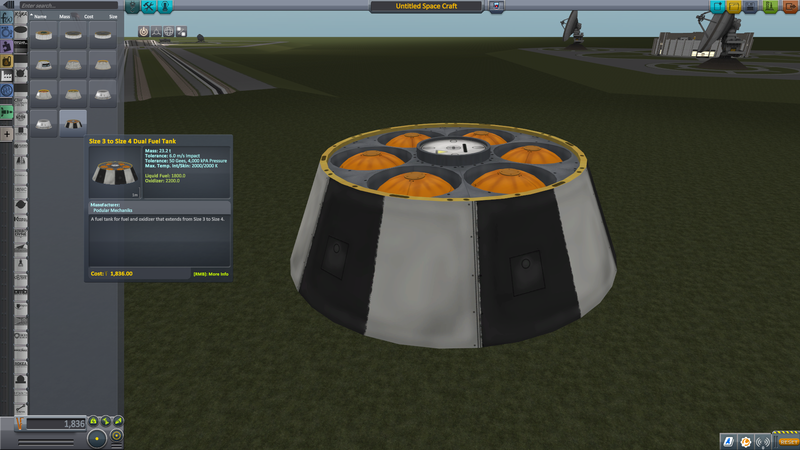 The simplest is a standard heat shield with an ablative surface, used as the base of an aeroplug (truncated aerospike) engine that forms the whole base of the craft. Then there's a monopropellant variant. And a more Romboid edition following the Douglas/Bono plan where liquid fuel (in RL was to have been liquid hydrogen) is circulated around the base and bled off so it acted to carry away the heat. The parts in the first release are basically a teaser for what I'm aiming at for a series of sizes. The eventual goal was to get to size 8 (10m), and hopefully I'll get there. Working from small to large means it'll be useful all along though. Now, I'm going to paste a pic for each of the parts, because album support in the forum is still cactus. Sorry, kaktus. Antenna. Sometimes they work sometimes they don't. But I get the same with the internal antenna on the mk1-2pod so it might just be me not knowing how antennas work in 1.2. Antenna type changed to Direct rather than INTERNAL, and most issues seem to have gone away. I'm not 100% sure though, so if you have any data transmission issues with them, please let me know. Several IVA props are not yet textured. I know. I wish there was as much freely available image material for them all as for the fire extinguisher, but alas. I will get there. The two IVAs are not complete. 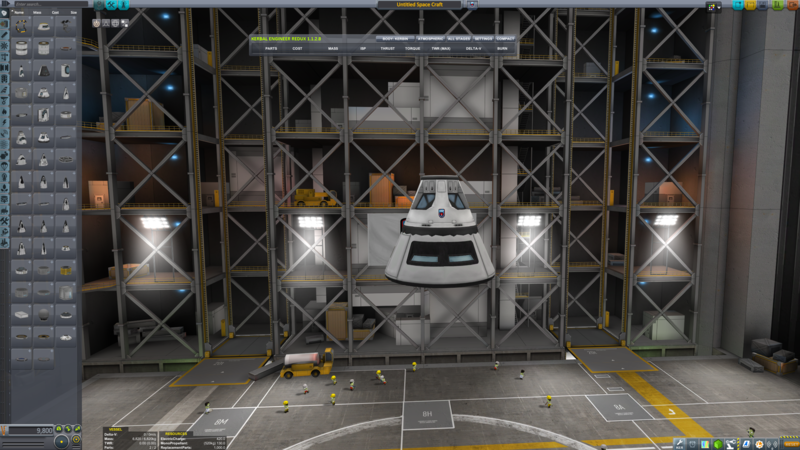 The textures are incomplete on both, and the science lab is still quite sparse. AKA, it needs MOAR stuff! I get a bewildering weirdness with one of the ladders on the Science lab. 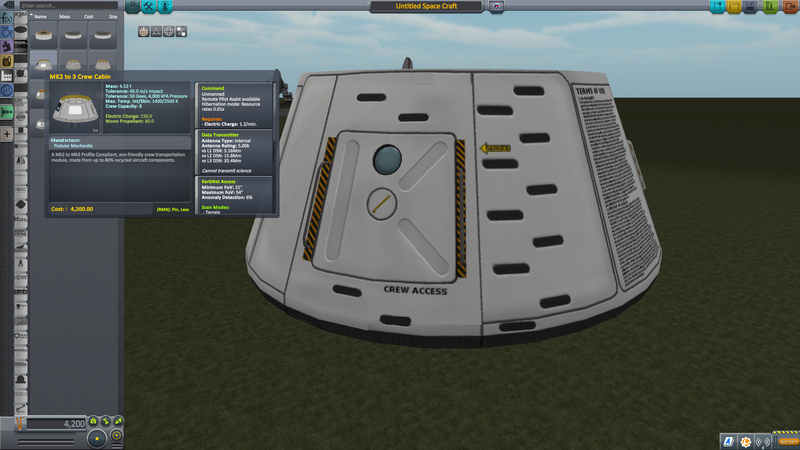 It's bewildering as it doesn't affect the crew module, which has the same ladder. And it's not the ladder that passes over the science bay door. There's some issues with transmitting science stored in the science lab. Probably to do with the module ordering, or possibly a conflict between the many overlapping functions. I'm having some fun trying to nail down what might be causing that. WOW! Very nice looking mod, I'm gonna give it a try, looks very useful! Very nice looking parts. The textures are awesome, you nailed that stock look pretty well. Great job! It don't seems to be on you todo list but would you consider doing a pod extension that's not conical ? Like a short 2.5m sleeping compartment for 1 or 2 Kerbals ? I could really use it as lately my rockets tends to grow to fast to a 3.75 size. Anyway thanks for the hard work. Well, the aim was to make it possible to build a pod that would fit on top of my Nexus stack as a single conical beast with interchangeable bits. But I'm constantly tempted to add in the parts I consider missing. 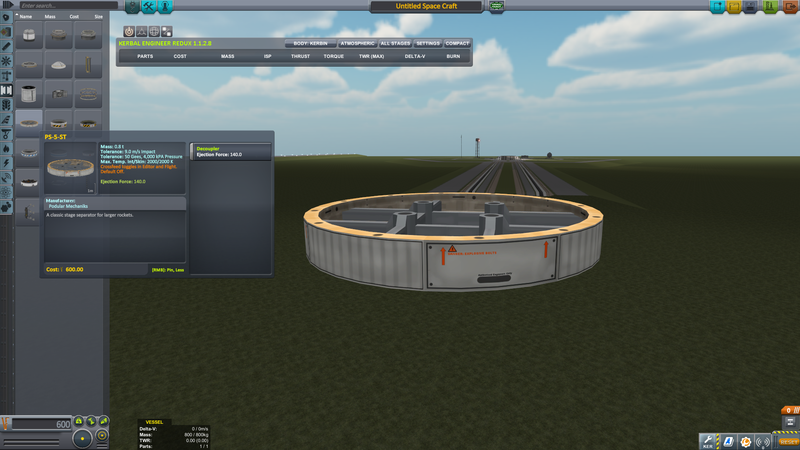 I'm pretty tempted to add in a 3.75m circular mono tank as well, but it doesn't quite fit. I might start a mod that's just a collection of those parts that don't quite belong anywhere, but the game sorta needs. So, there should be a minor update soon. BTW: I think you'll need to put a statement on your license in the OP. I think you forgot it. Still tweaking IVAs. The latest update has an updated laptop and some tidy ups on a few other props. I left off the circle around the Kell logo on the back of the laptop. I'm now working on filling out the Lab workstations. 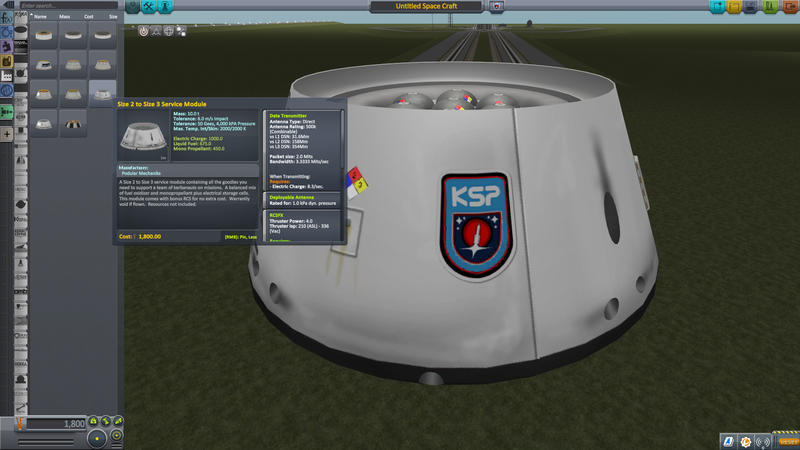 At the moment, that one kerbal seems to have all the kit, scanning electron microscope and glove box, and a laptop, while the other 3 are just along for the ride. So I'll be adding some work for them. I want to make one a telescope station, probably have the one closest to the mini ISRU have a collection of chemistry bits, and so on. 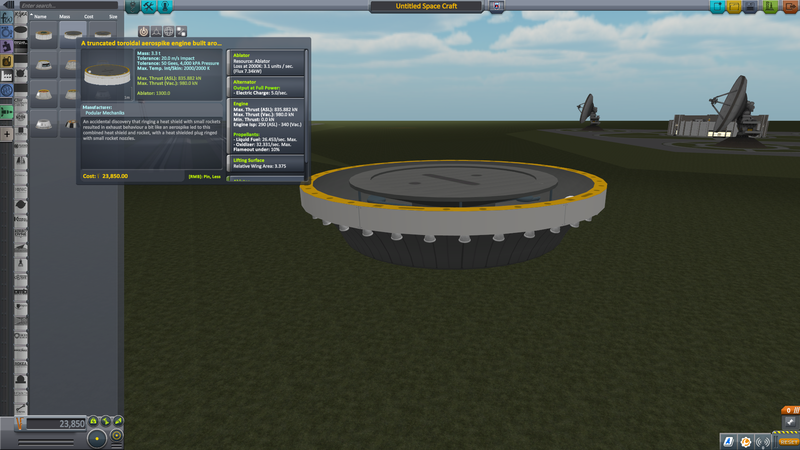 Also, I added a rescaled Romboid engine for the 5m size so that one part doesn't look too lonely. And fixed up the title fields, and the textures on the romboids. Apart from that there's just a teeny bit more of the slow march towards finished IVAs. And, just after an upload is THE BEST time to fix an issue. 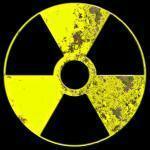 I have a fix for the science lab never using it's stored science. It will be included next time, but I just had my indexes wrong, because I didn't even notice there were indexes. Was 0, should be 4. It will be included next time, but I just had my indexes indices wrong, because I didn't even notice there were indexes. Was 0, should be 4. Congratulations on your official release! Wow! Gonna grab these. Nice work and thanks for sharing. slight problem with the meshes when using NF parts. That's because I use 36 face cones instead of 24. I find it much easier to work with. It leads to weird overlappings from time to time. I just decided I can live with that. [Agent]: Failed to scale the logo [ModPods/Agencies/Podular_logo] into a logoScaled. 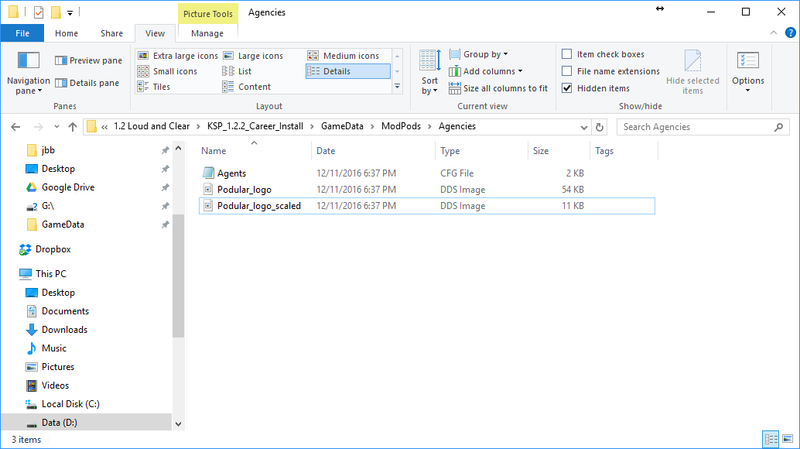 Exception: UnityEngine.UnityException: Texture 'ModPods/Agencies/Podular_logo' is not readable, the texture memory can not be accessed from scripts. You can make the texture readable in the Texture Import Settings. Following up on this, when I converted the files to PNG format, they loaded. Ah, yep. I've DDSified the logos. I'll fix that. Thanks for the diagnosis. I love this mod but the big aerospike engines have a pretty sever thrust offset that makes them nigh unusable as well as them having using just mod pod fuel tanks about 17 Gs of acceleration to start with! 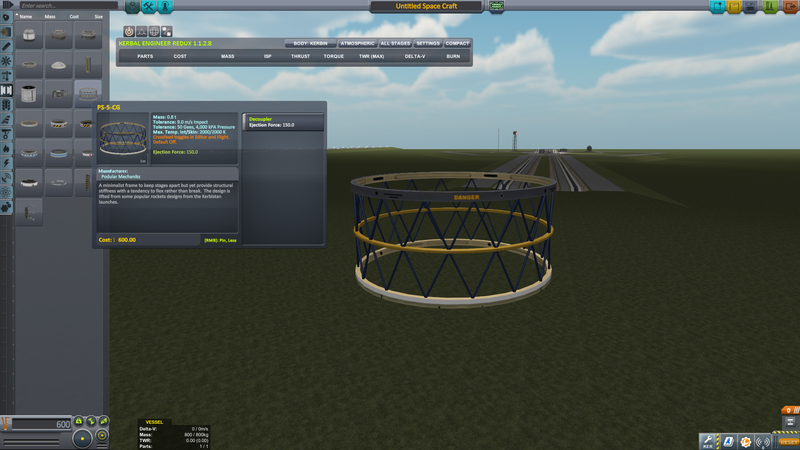 It is a bit excessive but not an issue but I just cannot use the engine due to the thrust offset. Only just noticed this is in both the dev and prod threads. 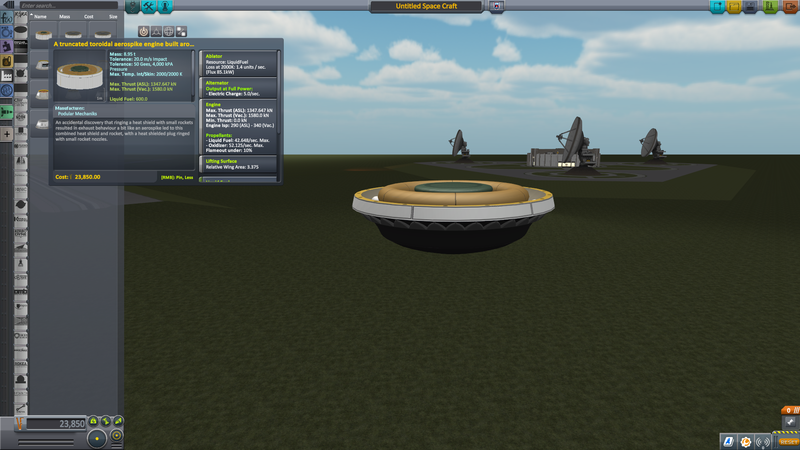 As discussed, this was due to limitations in the physics system vs CPU capability. Not everyone will notice it (depends on computer). Should be significantly reduced by updating to 1.0.3 which has 18 thrust vectors instead of 36. Just a heads-up: your 1.0.4 release for 1.3 compatibility won't install through CKAN: "Trying to install Modular Pods 1.0.4, but it's not downloaded or download is corrupted." The download file is there in the cache, though, and is at least a functional .zip file.